Frustrated with the lack of cool, new and exciting party venues?? Well, look no further! Tom O' Hawks Indoor Axe Throwing is your one stop shop for "AXE"- citement! We cater to all groups looking to celebrate any special occasion from Birthdays, Corporate Team Building, Hens, Stags or even just a friendly get together! 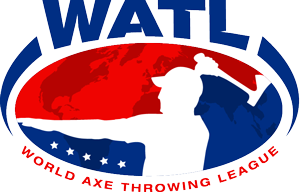 We even do leagues for the more competitive axe thrower! Our Qualified Axe Throwing Coaches / Party Hosts ensure maximum safety as well as fun and entertainment as we guide you through strict and safe throwing techniques before launching you into fun games and competition! Axe Throwing or "Hatchet Hurling" as some might like to call it, offers extraordinary fun, excitement and thrills! We help you to release those happy hormones known as endorphins and reduce stress while raising the spirit of your inner hunter/gatherer in a most primal fashion!